Scientifically known as Methuselah and its species bristlecone pine tree is the oldest tree in the world found in the higher mountains of California, Nevada, and Utah. One of the species of the tree is 5,067 years old, It is the oldest known non-clonal organism on Earth and one of the most famous trees in the world. It is a medium-size tree that can reach up to 5 to 15 m (16 to 49 ft) tall and trunk diameter can be up to 2.5 to 3.6 m (8 to 12 ft). The bark of the tree is orange-yellow in colour and scaly at the base of the trunk. The leaves of the trees have the highest persistence and some of them can remain green for 45 years. The Llangernyw Yew is the second oldest tree in the world with an age of approximately 4,000–5,000 years old. It is an ancient yew tree located in the village of Llangernyw, Conwy, North Wales. It will be one of the difficult tasks to calculate the age of yew trees. The tree species is fragmented and some of the core parts have been lost. 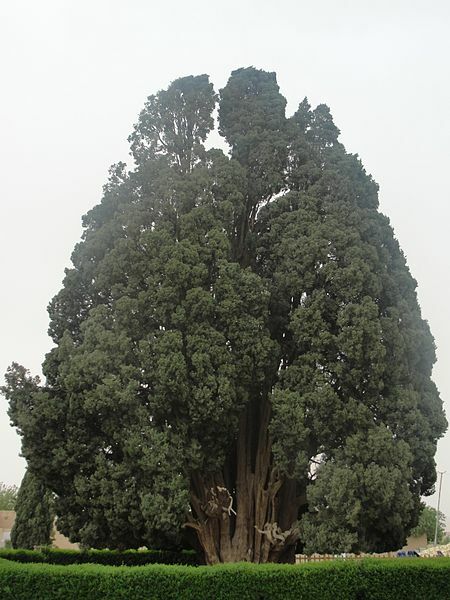 Additionally known as Sarv-e Abarkuh is a Cupressus sempervirens tree located in Abarkuh in Yazd Province of Iran. The tree is well protected by the cultural heritage organization of Iran. One of the major tourist attractions of Iran is a national natural monument. The tree stands at a height of 25 metres and considered to be 4,500 years old approximately. The exact age of the tree is very hard to determine and one of the most unique features is that it is still cultivated after these long years. The primary condition of the longitivity of the tree is the favourable climatic conditions. The evergreen skinny and tall tree is approximately 3,647 years old. It is also known as the Alerce native to the Andes mountains of southern Chile and Argentina and considered as one of the important members of the Valdivian temperate rain forests. The largest tree in South America can grow up to 40–60 m, however, occasionally it is 70m high. The largest known living specimen is Alerce Milenario located in Alerce Costero National Park, Chile with a height of 60 m and approximately 4.26m in diameter. It is also known as the tree of one hundred horses located in the Mount Etna volcano in Sicily and approximately 2,000 and 4,000 years old. Also, it is the largest and the oldest known chestnut tree in the world. The Guinness World Records listed it as the “Greatest Tree Girth Ever” because of the circumference of 57.9 m (190 ft) in the year 1780. On the ground, the tree splits into multiple large trunks, however, below the ground trunks still share the same roots. These are the oldest trees in the word. Do post your comments.